1Prepare cake mix and pour 1 tablespoon in each cupcake liner. 3Once cool, add in mint chip ice cream to top of liner. 4Freeze for 3 hours or overnight. 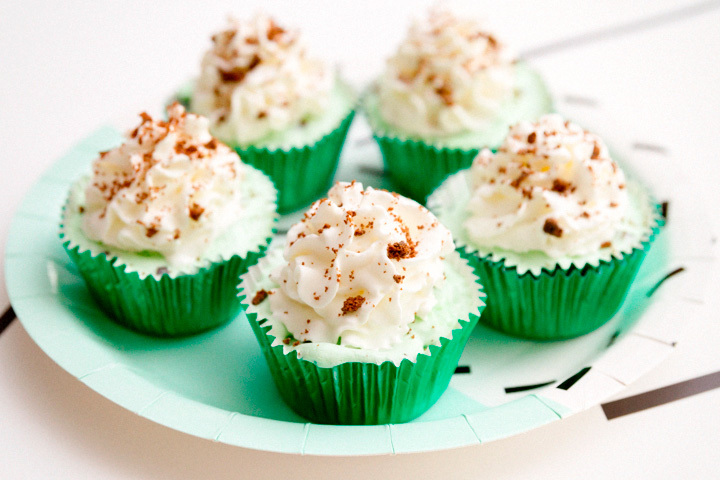 5When ready to serve, top with whipped cream and top with crumbled mint cookies or mini chocolate chips.